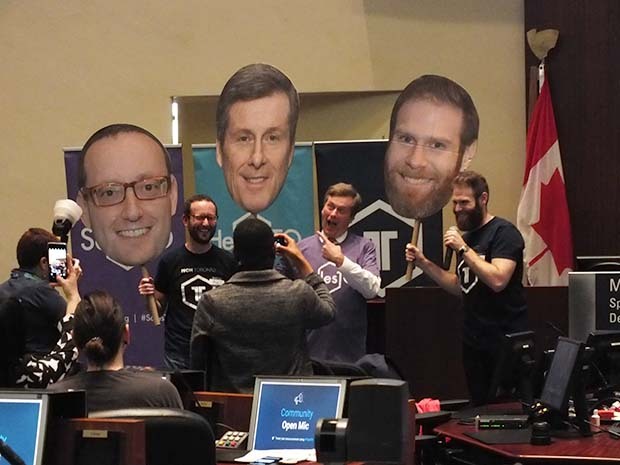 This was first presented at the Best of TechTO 2018 at Toronto City Hall. In this presentation, Chris shares 4 important things he has learned that have helped him grow his company: mind, body, heart and soul. In 2018, 36 percent of U.S. consumers plan to grocery shop online, which is up from 22 percent of those who shopped online in 2017. Instacart announced that it has joined forces with Toronto-based Unata, a digital solution platform that will provide Instacart the ecommerce tools it needs to evolve in online grocery shopping. According to Unata, five major U.S. grocers using its e-commerce platform have achieved 44 percent year-over-year online sales growth. Harmons has teamed up with Unata to develop a new e-commerce and online list-building experience for patrons. Why Nudge.ai? Reach out to the decision makers at Unata Inc. with a personalized email - let them know that you found their recent news mention interesting. Executives and decision-makers at Unata Inc.
Nudge.ai’s relationship intelligence platform can help you find the right executive to reach out to at Unata Inc., such as Vahid Jozi, Head of Product, or Chris Bryson, Founder and Chief Executive Officer. Then get in touch and start a conversation. Executives can be difficult to reach, but every company has connectors who bring together people and ideas. At Unata Inc., people like Monika Singh, and Chris Bryson are likely connectors. Topics frequently mentioned alongside Unata Inc. When Unata Inc. is mentioned in the news, Nudge.ai often sees topics like Online, and Transportation. If your conversation focuses on these topics, you’ll probably get Unata Inc.’s attention. Companies frequently mentioned alongside Unata Inc. When Unata Inc. is mentioned in the news, companies such as Jones Lang Lasalle Americas, Inc., Hofstra University, and National Retail Federation are often also mentioned. These companies can serve as customer examples. Employees who are often in the news are usually open to starting conversations or exploring ideas. Nudge.ai's sales AI saw Chris Bryson, and Diego Maniloff from Unata Inc. recently mentioned in the news. Unata has launched a new voice technology integration that will enable grocery retailers to offer voice ordering to their customers. Who in your network can introduce you to Unata Inc.? Nudge.ai finds the best pathway to reach contacts at this company.